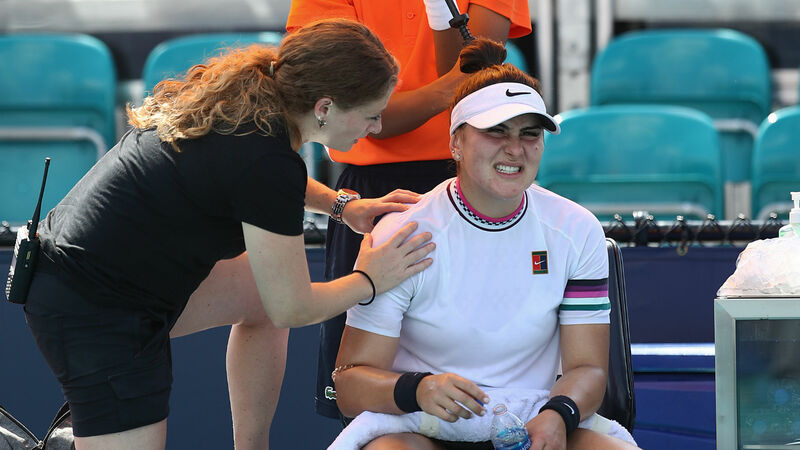 Bianca Andreescu’s 10-match winning streak came to an end when she retired during a fourth-round encounter with Anett Kontaveit at the Miami Open due to a shoulder injury. Andreescu defied the odds to become the first wildcard to be crowned Indian Wells champion earlier this month, but there will be no Sunshine Double after the 18-year-old Canadian shook hands at 6-1, 2-0 down on Monday. A right shoulder injury halted the rising star’s incredible run and ensured Kontaveit will face either Caroline Wozniacki or Hsieh Su-wei in the quarterfinals. Andreescu had beaten Angelique Kerber — her opponent in the final at Indian Wells — to reach the last 16 after saving a match point in her defeat of Irina-Camelia Begu in the first round and got past Sofia Kenin in round two. The teenager will go no further though, as the world number 24’s exploits in the United States appeared to catch up with her.